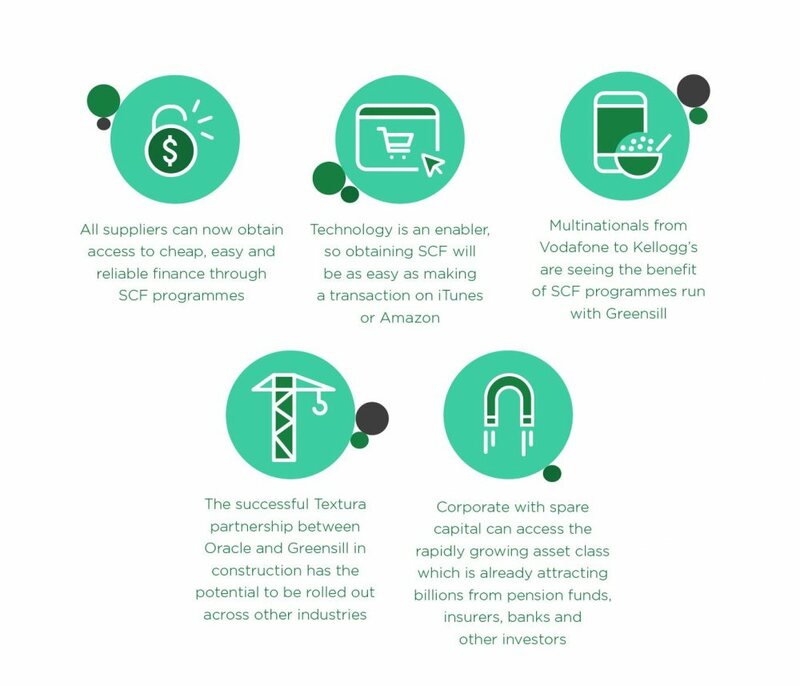 Technology is at the heart of Greensill’s unique approach to Supply Chain Finance. Our client’s greatest challenges are the inspiration for our next technological advance. Previously the largest suppliers in the market could obtain bank finance at an annual cost of about one to three percent, while millions of smaller suppliers had to rely on old-fashioned offerings such as factoring and dynamic discounting, which could cost them up to 30 percent APR. Today, thanks to the technological advances made possible by alliances such as Oracle and Greensill’s Supply Chain Finance partnership, access to cheaper capital is helping those millions of smaller suppliers, and their customers also see the benefit. 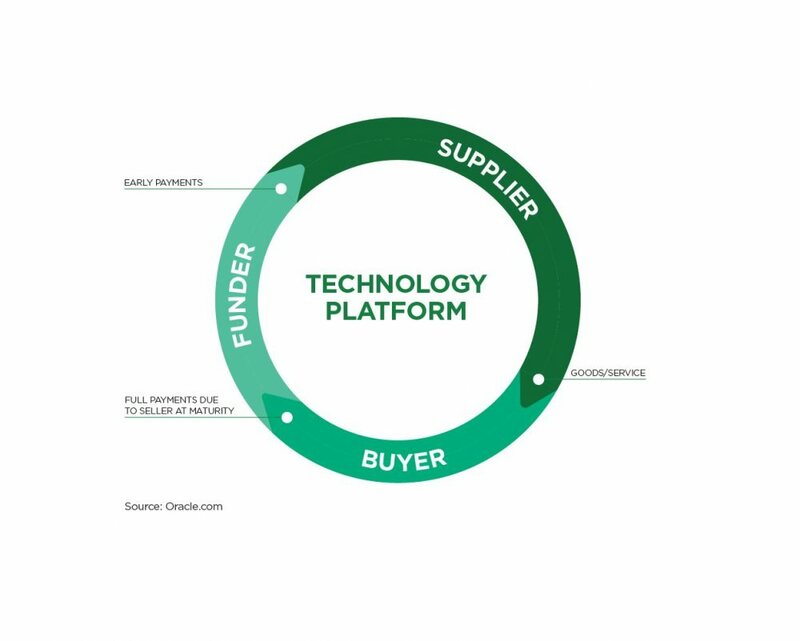 The Textura Payment Management Cloud Service combines Oracle’s technology and Greensill’s capital to provide Supply Chain Finance for contractors in the US construction industry. The contractors upload documentation onto Oracle’s platform, and finance can be provided in a “friction-free” manner. "By digitising and transforming the payment management process, the solution mitigates payment risks that previously had deterred many on the financial side of SCF from participating in the construction sector, despite the considerable need for the kind of working capital improvements SCF can provide. That’s a game changer and has made SCF generally accessible to contractors." says Mike Sicilia, Senior Vice President and General Manager of Oracle Construction and Engineering. Technology is strengthening and developing platforms’ operational capability, driving SCF take-up. Online tools and training to help suppliers sign up allows quick and easy onboarding, which is one of the main criteria suppliers consider when choosing SCF platforms. The benefits of an efficient, low-cost, SCF programme is not lost on large multinationals, which rely on a long tail of small and medium-sized businesses to supply them. Telecoms giant Vodafone migrated the bulk of its SCF programme to Greensill. The system now has more than 2,000 suppliers, many times the number previously looked after in Vodafone’s bank-financed programme. Large-scale SCF programmes are now being rolled out with other multinationals, which see the benefit of providing a quick, easy and affordable source of finance for their suppliers. "SCF programmes in excess of $500 million are few and far between, but Greensill has an increasing number in excess of $1 billion in size. A rapidly growing list of investment-grade names in addition to Vodafone, including General Mills, Henkel, Airbus, AstraZeneca, Kellogg's, Sprint and Pemex are working with Greensill to unlock hundreds of millions of dollars of working capital and cost savings, while improving their supplier satisfaction ratings." Today Greensill has extended $50 billion of financing to a pool of more than 1.7 million suppliers in more than 60 countries. Greensill is opening up new opportunities for investors through SCF programmes using new technology. A couple of years ago, McKinsey estimated the market in trade payables could be in excess of $1.2 trillion—with only a small fraction penetrated by SCF programmes. "That massively understates the real size of the market. We believe it is in excess of $3.5 trillion and the volume of outstanding SCF assets at about $100 billion. There are a number of new entrants into the market and investors are waking up to the risk and return characteristics of an asset class about which they have historically known little." By creating tradable SCF notes, Greensill has secured more than 70 investors in its programmes, ranging from pension funds and insurers to banks and other capital market investors. This market is also opening up for corporates who want to invest excess capital. In 2016 Greensill partnered with fund manager GAM to launch GAM Greensill SCF fund, the first of its kind, which now has more than $3 billion invested. As assets are constantly recycled, with a weighted average life of less than 90 days, the risk is low. The underlying credit risk is that of the multinational supporting programme and the fund has a single A rating. There also hasn’t been a default in the market on investment grade names for more than 20 years. Investment returns are well in excess of holding cash. Corporates can benefit in two ways. By providing SCF programmes, they have more satisfied, better financed suppliers and then can also invest their spare cash in low-risk assets with attractive returns. The prospects for this sector and asset class look rosy.